SoD_SP is a plugin for Heroes of Might and Magic III : Shadow of Death (SoD) or Complete version which can be enabled with the HD mod. It is meant to be used in Single Player only. SoD_SP adds a number of features aimed at enhancing user experience (quality of life) while maintaining as much of the original gameplay mechanics. Some of these features already exist in some expansions or mods but were never incorporated to SoD while some features are completely new. It also aims at correcting some long-standing bugs. To access some of the features, refer to the list of new shortcuts. SoD_SP now gives you the option of having more details at a quick glance while on the battlefield. Note, these options are only enabled if your game window is set to a resolution of at least 1074×660. Thanks to igrik for the H3-themed battle queue panels! If you find yourself overwhelmed by the amount of information, you can disable any or both of the panels in the SoD_SP options. The panels will be duly removed (or added) the next time you begin a battle. 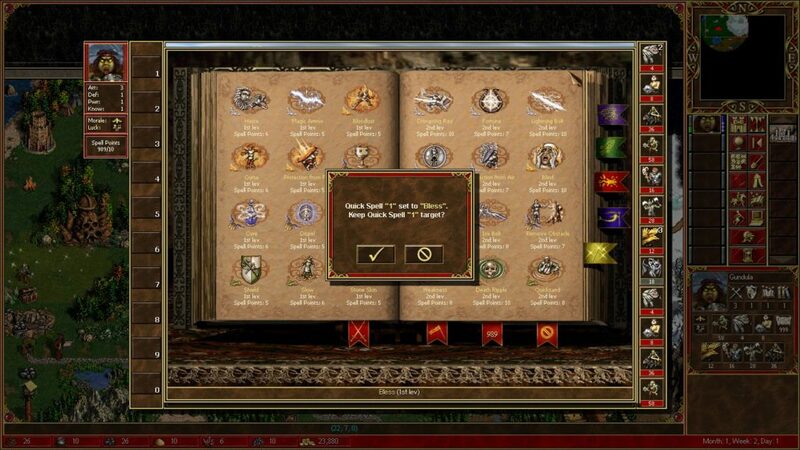 On the left hand side is the quick spell panel, where you can see your current assignment of quick spells as well as the matching hotkey it is set to. 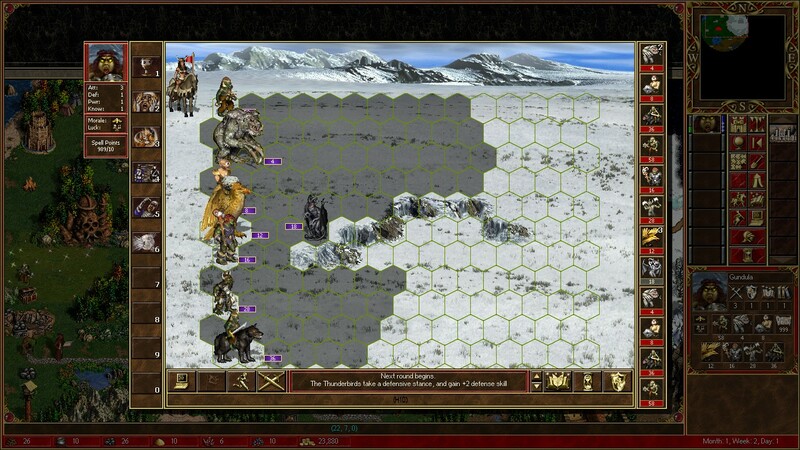 On the right side of the battlefield, since version 1.15, is the battle queue panel which displays the expected sequence of creatures to take their turn next, from top to bottom.